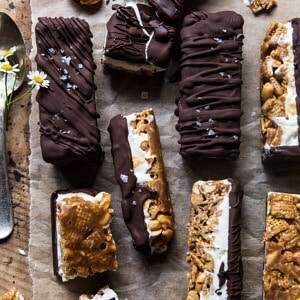 July 31 Chocolate Caramel Crunch Ice Cream Bars. 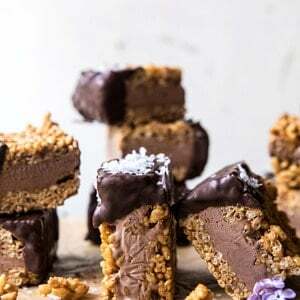 June 22 6 Ingredient Rice Krispie Treat Chocolate Ice Cream Sandwiches. 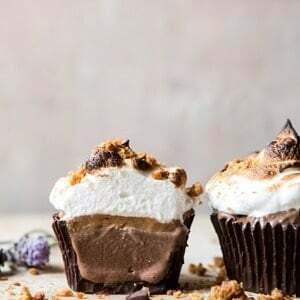 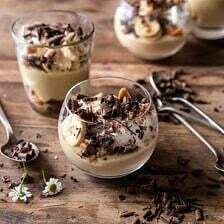 June 8 Toasted S’more Chocolate Ice Cream Cups. 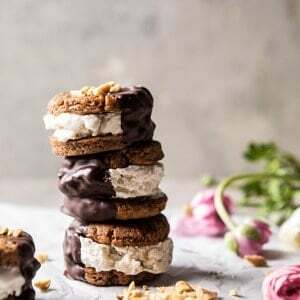 May 25 Chocolate Dipped Peanut Butter Cookie Ice Cream Sandwiches. 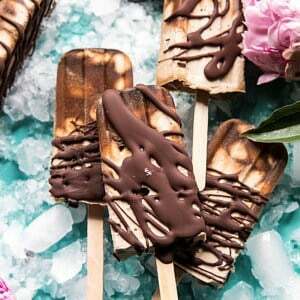 May 18 Chocolate Coconut Latte Fudge Popsicles. 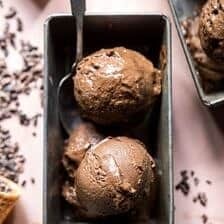 July 18 6 Ingredient Chocolate Coffee Nice Cream. 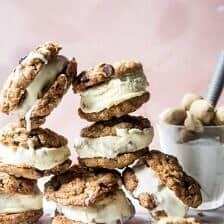 July 14 Brown Sugar Oatmeal Cookie, Cookie Dough Ice Cream Sandwiches. 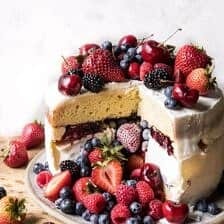 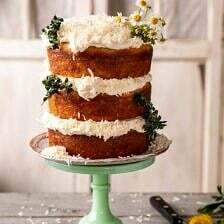 June 23 Triple Layer Roasted Berry Piñata Ice Cream Cake. 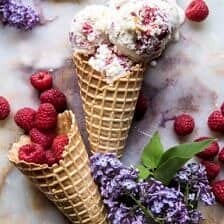 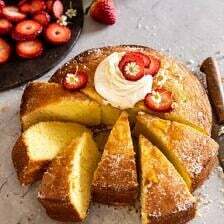 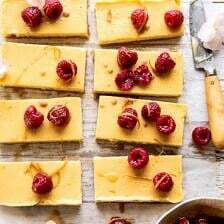 June 20 Easiest Raspberry Shortcake Ricotta Ice Cream. 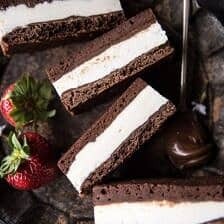 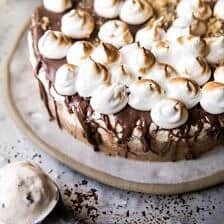 June 16 Salty Peanut Butter S’more Ice Cream Cake + Video June 2 Tiramisu Brownie Ice Cream Sandwich Bars. 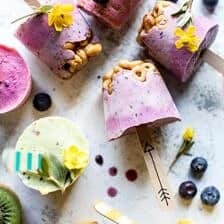 May 16 Rainbow Frozen Yogurt Pops.